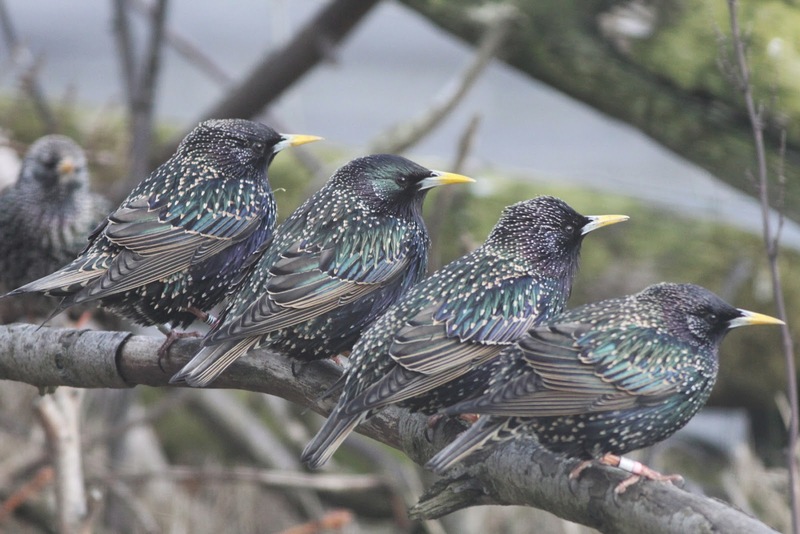 Spring is well and truly here, these Starlings look particularly fine shining in the sun in the Obs garden. The selection of bird species in the garden usually starts to rise at this time of year as various migrants move through, including this Siskin. Not much seemed to happen on 24th, although a Chaffinch arrived at the Haa, but by 25th things were looking a lot more promising. 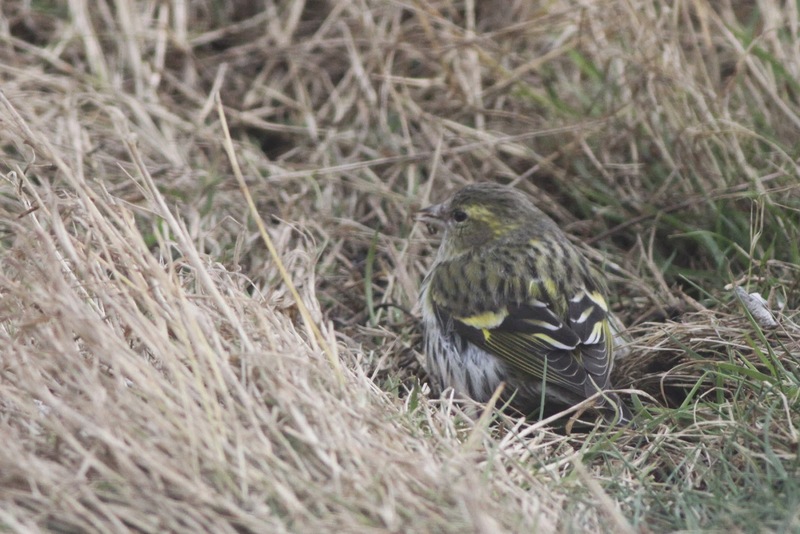 The strong SE winds delayed the plane (which eventually made it in via Foula) but started to bring birds. Amongst them were two firsts for the year, with six Chiffchaff and three Wheatear found, along with a Stonechat (the sixth of the spring), Reed Bunting, two Chaffinch, 13 Blackbird, 6 Song Thrush, 4 Redwing, 3 Robin and 13 Pied Wagtail. 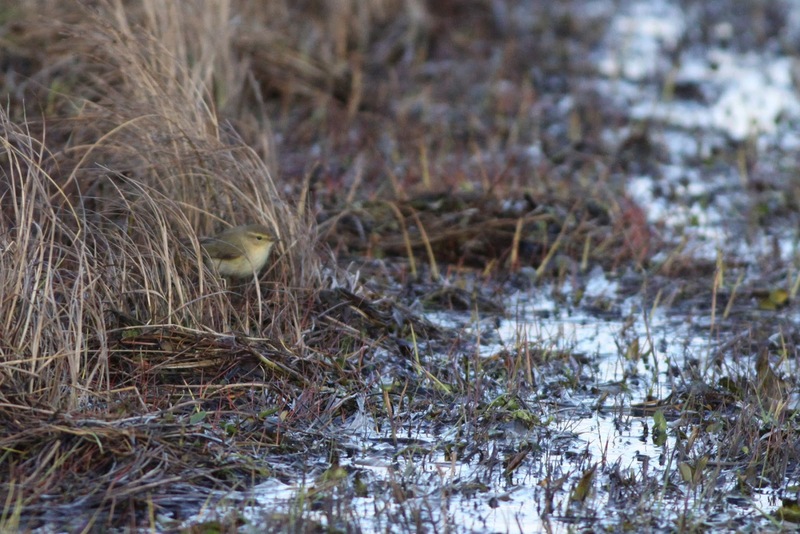 Chiffchaff lurking in Gilsetter (and staying slightly out of focus, but it's the first of the year, so we'll let it off). Amongst the winter lingerers, the Kumlien’s Gull, a Glaucous Gull and Merlin were all still present. 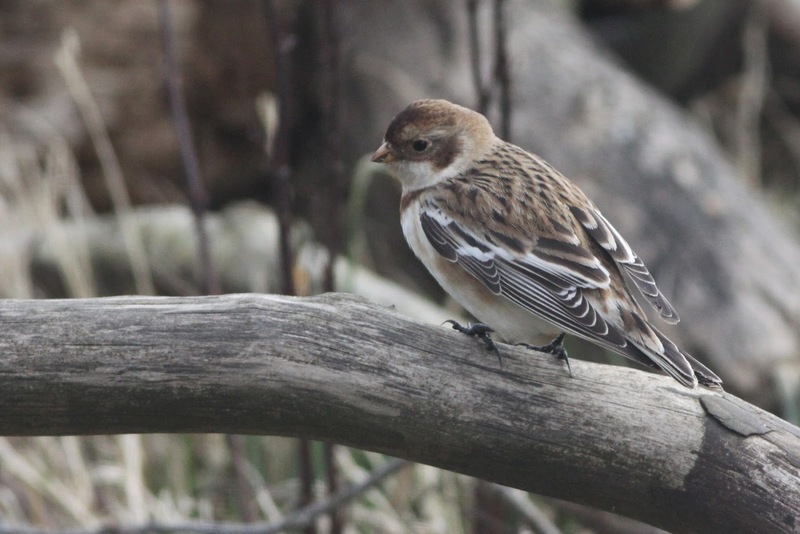 Snow Buntings are being seen in small numbers daily, this one dropped into the Obs garden briefly.